Poem-standard writing has the purpose of communicating with readers or listeners, describing the standard or conventional form of literacy genre which familiar for readers or experienced listeners, in order to produce mind response and inspiration from your Poem. If the Poem is only based on your feelings, it is not enough to be called as Poem. Before writing poem, determine the purpose/goals of why you write it. Whether contents of your poem will write about your own life, or someone else's, about social protest, about love, about natural beauty etc. After you set your goals from the choice of form, theme, title, topic of poem, choose words or sentences that are appropriate to form diction which represent content purpose of your poem. Avoid cliche words or cliché sentences. avoid writing words or sentences that are already very popular. Because repetition is too often, it is feared your Poem reader will not read until it is finished when reading the words or cliche sentences. Example: "The sun shines beautifully in the morning", this sentence is well known to the public. If you are faced with having to write with Cliche words, you can make interesting modifications. A personification expression and which is already very well known because it is very often written by Poets, readers tend to have the impression that your poem is boring. It is true that a poem is an expression of feeling/heart/soul. But if you devote overall sentimentality in your poem, then that is not the standard of Poem. If your poet's reader or connoisseur interprets that your poem is dominated by heart expressions or seductive feelings, which are made as beautiful as compelling, then poem readers tend not to take them seriously. It is precisely the expression that is too seductive will reduce the beauty and quality of standard literacy. If your poem seems whiny or sentimental, describing tears, readers or expert or experienced listeners, it can easily catch as if asking for a compassionate response. If this happens, the reader tends to conclude that your text is not standard Poem. Conversely, choosing the right words or sentences leads to a sad atmosphere that produces poetic, beautiful, touching diction, so the reader becomes curious about the sadness. "Be a Painter of words"; Poem involves elements of soul sensing and color, involving: vision, hearing, smell, touch, taste, and kinesiology / motion, inspiration. Metaphora can also be interpreted as a real phrase or sentence, but has ambiguity or other meaning. The combination of methapora, personification, is combined with certain majas (language styles), rather than compelling to make beautiful diction. Simile is an expression written about an object that has the same meaning as another object. A Simile does not automatically make it more poetic or less poetic than Metaphora, or vice versa. In essence, comparison, conclusions, suggestions, including important elements in writing Poem. Metaphora and Simile that function to produce spirits from a Poem. It is not a necessity for a poet writer to compose his diction using concrete words. But in general Western Beginners Poets write more concrete words in their Poems. From several poetry genres written by Indonesian poets in general a combination of abstract words and concrete words depends on needs and adjustments to the majas they use. Poem always has a theme. Thema is not just a topic or title, but is an idea of ​​the results of a thought. Themes can strengthen inspiration and the results of thought refer to general opinions and facts. A communicative theme will be more easily listened to by lay readers and expert/experienced listeners. Topic is a subject, only a pointer to a phenomena, no inspiration or opinion, which directly fills a poem. While the theme is not just an event, but an expression of the phenomena itself. The theme can be said to be the rationale of a writer to write his poem. 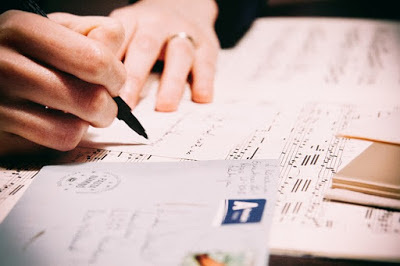 Writer try to communicate the theme to their readers in the form of poem that is in accordance with the standards of literacy techniques. The Power of Poem in its ability to see what other people usually see every day in a new way. You don't have to be a specialist or a genius in the field of literature to be able to write good poems. What you have to do is make an object, place, person, or idea, bring it up in the form of your poem to make things renewable, so that the reader is motivated by the new perceptions of things. Text that has a standard as Poem, of course has the rhythm, taste, spirit, color and shape of each genre of Poem. Rhythm and form that are forced by relying on one word or one sentence, of course, can damage the diction itself if you use it incorrectly. If the rhythm of the poem you seem like the lyrics of a song, it will reduce the quality of standard literacy as Poem. For the Beginner, writer just ignore this rhythm. It's not easy to find adjustments to the overall diction to the rhythm of author wants to show to the reader. The revision is to improve, this last step is to review, improve if you feel the Poem written is not in accordance with the standard. This is an editing process before you consider that the poem is already made. This creative process is important so that you believe your text is a poem for your reader.